Australia’s first university esports scholarships have arrived, with QUT in Brisbane announcing it will award five $10,000 scholarships for exceptional League of Legends gamers in 2019. Current QUT students and new students planning to start at QUT next year have until November 16 to apply for the scholarships, which will be offered under the QUT Vice-Chancellor’s Scholarships program in the elite athlete category. The scholarships will go to the five students selected to represent the university in the 2019 season of the League of Legends Oceanic Challenger Series (OCS), which is a feeder to the Oceanic Pro League. The QUT Tigers made their debut in the OCS this year, becoming the first uni team to mix it with the pros. 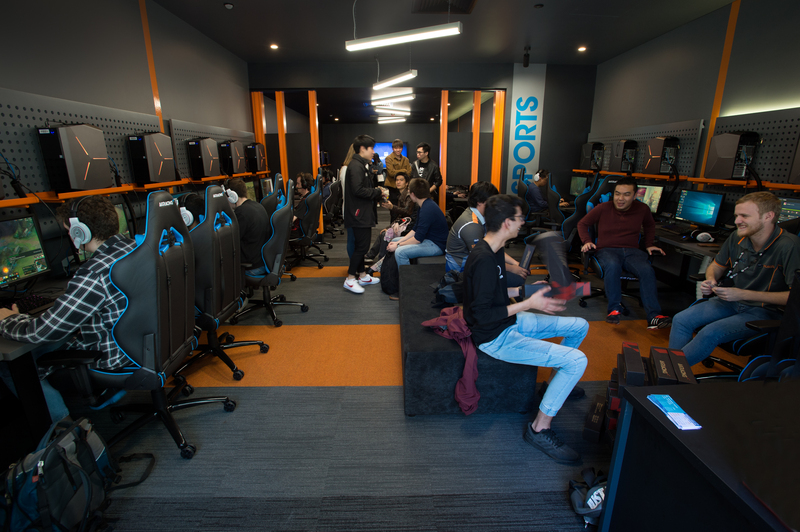 QUT is already home to Australia’s first official university-endorsed esports program, and the first dedicated on-campus gaming arena. QUT eSports co-coordinator Michael Trotter said gamers who wanted one of the $10,000 scholarships had to get through a two-step competitive process. “The first step is to get an application in by November 16 for a 2019 QUT Vice-Chancellor’s Scholarship for Elite Athletes,” he said. 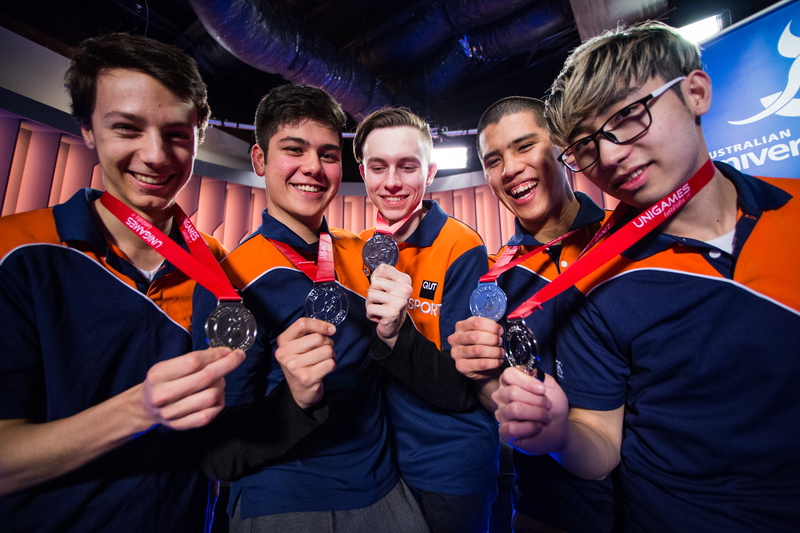 The five players selected for the team will each receive a $10,000 scholarship to help support their university studies and esports training. The elite athlete scholarships are open to students studying any course at QUT. Michael Trotter and Dylan Poulus. QUT’s esports club was founded by Mr Trotter and Dylan Poulus in 2016 when they were psychology students. 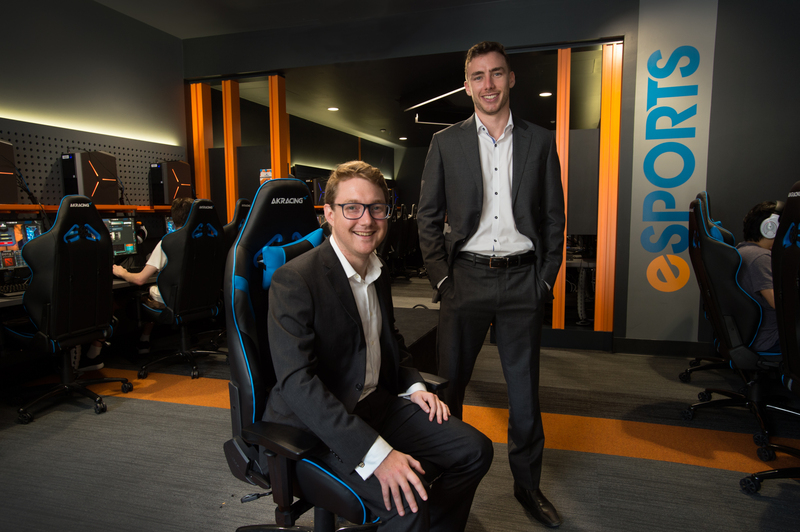 They have now both graduated and are researching gaming psychology and running QUT eSports – the first university-endorsed esports program in Australia which offers students pathways from amateur to professional gaming and careers in the industry. They also oversee the new QUT eSports Arena which opened in July on the Gardens Point campus. The new QUT eSports Arena. Mr Poulus said the new scholarships were another sign that the booming esports industry – now worth more than $1 billion globally – was cementing its place among traditional sports. “We started this as a student project in 2016 and now five students are going to get paid to play this game – it’s absolutely insanely awesome!” he said. The QUT Tigers debuted in the OCS this season and finished a credible eighth out of 14 teams at the end of the 13-week season. “We picked five students and they had to compete against teams of paid athletes … they all expected us to come dead last but we came eighth which was amazing,” Mr Poulus said. The 2018 QUT Tigers esports team. Emily Rosemond is the coordinator of QUT Sport and its Elite Athletes Program, which covers a range of sports. “‘We’ve developed a new sports strategy in recent months which hinges on a high performance approach to sport and this extends to esports,” she said. The QUT Vice-Chancellor’s Scholarships program awards over 140 scholarships worth a total of $3 million each year across academic scholarships and elite athlete scholarships. Applications can be lodged online and close on November 16. QUT also specialises in game development education and will again offer its popular Bachelor of Games and Interactive Environments (Game Design) in 2019, and double degrees that mix game design with business, maths or science. Top image: League of Legends artwork, Riot Games.